Send the gift of fruit. 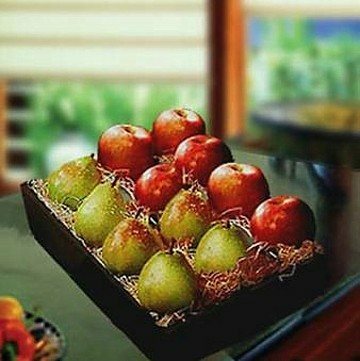 A Sweet Pairing- Apples & Pears Gift Box. A perfect pairing! Six in-Seasonal Crisp Apples and & six in-season Pears. Sweet and juicy—Nature’s original healthful snack, delivered right to your door fresh from our orchards.